Apr 04, 2019 South Africa, automotive company, Motus Holdings Limited, Positive Incentive Loan, PIL, US$ 30 million loan, BNP Paribas. 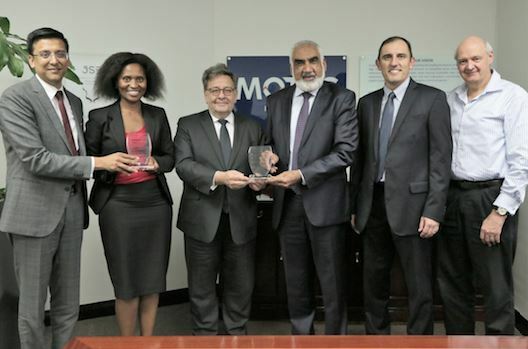 South African automotive company Motus Holdings Limited, recently announced that it has added a Positive Incentive Loan (PIL) feature to its existing US$ 30 million loan with BNP Paribas. This move is described as complementing its commitment to environmental awareness and sustainability. The Positive Incentive Loan mechanism – in which the cost of credit is linked to a reduction in Motus’ water and fuel consumption – is expected to help the company “further its environmental commitments towards the low carbon energy transition”. CEO of BNP Paribas South Africa Group, Vikas Khandelwal, commented: “Given the environmental challenges facing our region around water scarcity and other key climate issues, BNP Paribas recognises the importance of supporting South Africa’s low-carbon energy transition. This transaction reflects the steps that corporates such as Motus and banks can take together to find tangible solutions to the challenges of climate change. The unique PIL structure links preferential interest rates with sustainability targets, in an effort to support and incentivise Motus in driving its sustainability strategy, at the same time meeting its financing needs. South Africa, automotive company, Motus Holdings Limited, Positive Incentive Loan, PIL, US$ 30 million loan, BNP Paribas.